the golden balance between critical acclaim and profits. Rule #1: a�?Create your own rule,a�? says Gaurav Dhingra, co-founder of Jungle Books Entertainment and producer of The Angry Indian Goddesses. a�?We were told that women don’t open box offices. People probably warned us so because no one had tried. It was the first rule we broke and a calculated risk we took,a�? Dhingra explains about backing a movie that has eight women in the lead and is centered around their relationship (read friendship). Rule #2: Content is king and new age movie makers swear by it. a�?People give us two hours of their life, hence be conscious of what you give them to watch. Make their time worth it,a�? is something Guneet Monga, co-founder of Sikhya Productions, consciously follows. This self-professed movie geek who is behind the success of The Lunchbox, co-produced Masaan, Gangs of Wasseypur Part-1, Peddlers and the most recent Haramkhor, starring Nawazuddin Siddiqui and Shweta Tripathi. Dhingra agrees and adds, a�?The market is undoubtedly driven by content and that will determine how much the movie can travel.a�? His women-centric movie will be showing in 50 different countries and the team is negotiating with 20 other territories. Rule #3: Find a relevant topic. a�?It cana��t be the usual a�?rich girl falling in love with a poor boy living in Mumbaia�� scenario if you have to take your movies far and wide,a�? says Dhingra, adding, a�?The subject needs to resonate with people living outside the country. They need to find it relevant and it must have universal appeal. According to me, stories on faith, women and borders work.a�? His next project is a spiritual thriller in which a girl from New Zealand visits India on holiday and does not return home. Her parents come to India in search of her and what they discover is what the movie is about. a�?Ita��s been picked up by Arte Light in LA for distribution and might not release in India but is made only for foreign viewers,a�? Dhingra reveals. Manish Mundra of Drishyam Films, who has produced Ankhon Dekhi, X and Umrika, says we are still behind in terms of animation to create a sci-fi. a�?So we should stick to showcasing human behaviour. A good story always travels. Behavioral stories that are emotional and portray relationships will find a place in European and Asia Pacific markets,a�? Mundra says. As for Monga, she prefers socially-relevant topics. It is important to keep the story simple and it needs to be honest. The biggest parameter in movie making is to not treat th is as your career. Some directors are already thinking of their second project while still filming the first. For me, I need to be sure of how much I know about the story personally and how much I need to make up. Films are a mood, a conversation. I stay with my character and live what they live. Rule #4: Pay attention to storytelling. a�?a�?Bollywood sells in diaspora,a��a�� Dhingra says. a�?a�?But when we are creating content for the western market as well as the Indian audience, the storytelling cannot be overstated. Ita��s important to understand how we make it, who we cater to and who are our subjects. Over the years, with technology fast evolving and with mobile connectivity, we need to adapt to a different style of storytelling. One of my movies is based on Kumbh Mela and exploring faith in the region when a mother loses her child amidst a crore people. Ita��s a funny yet moving story and was released in 20 countries,a�? he adds. Rule #5: Budget your film wisely. In order to record a return on investment, new-age filmmakers are following a structured system of keeping the costs low. a�?It does not mean we make a cheap film. The idea is to keep it simple, get a crew and cast who are talented, passionate and willing to invest in their careers. We need to make it easy to pay ourselves and keep the baseline to about `4 crore and not invest too much on lifestyle,a�? Monga insists. She raised nearly `10 million (US$150,000) for Peddlers in 2012, made on a budget of Rs.2 cr, by posting the filma��s script on Facebook. While The Lunchbox was made on a small budget of Rs.10 cr, the filma��s worldwide collection stands at Rs.84.92 crore (US$13 million) as on May 28, 2014. The film collected around Rs.100.85 crore (US$15 million) worldwide in its lifetime run. 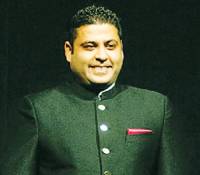 With experience of over 10 years in the entertainment industry, including stints as the producer of reality show Ice Road Truckers with History Channel in the US, and line producer of ten seasons of The Amazing Race, Gaurav Dhingra has also been line producer on films like Rang De Basanti and Delhi 6. He became a co-producer with films like Peddlers and Haraamkhor and is now the co-founder of Jungle Book Entertainment, which envisions a new outlook for alternative cinema in India and thereafter make Indian stories travel internationally. The first film produced by Jungle Book, a documentary shot in the Kumbh Mela and titled Faith Connections, premiered in 2013 in the Toronto International Film Festival, and will soon see an India release in 2016. Apart from the documentary, the film that is produced by Dhingra and is currently making waves is Angry Indian Goddesses, which is set for an Indian release later this month. Plus, Beyond The Known World, which has been co-produced by the New Zealand Commission,will see a release in 2016. Rule # 6: Find the right cast. a�?If we are to make a realistic movie then it cana��t have big stars and if it does not have big stars, then we certainly will not get big companies or distributors to invest in the movie,a�? explains Dhingra, adding, a�?For The Angry Indian Goddesses, we traveled to seven different cities to find the right cast and we worked with them for over two months in workshops etc to break them out of the Bollywood mould.a�? Rule #7: The publicity from film festivals can help. The festival circuit is a great platform for these movie makers to showcase their product and grab the attention of international audiences. Countries like Mexico, Brazil, Hong Kong, Thailand and Japan have well-entrenched networks built over the years by working through film festival markets and the only way to exploit the commercial possibilities of independent cinema is to take the battle into their territory. a�?You have media attending the fests, the buyers (distributors) and agents. If your content is good then obviously it will gain traction, get picked for film festivals, get publicity through reviews and that creates the buzz,a�? says Mundra. 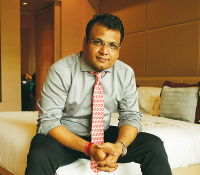 Dividing his time between Africa and Dubai, Manish Mundra has come a long way from selling soft drinks on the streets as a teenager in Deoghar, Bihar. After earning an MBA degree from Jodhpur University, he moved through several firms in the Aditya Birla Group before joining Indoramaa��s Jakarta branch in 2002 and setting up its petrochemical operations in Nigeria from scratch. Always a movie buff and a great fan of actor Amitabh Bachchan, Mundra today has set up a film company, Drishyam Films, in Andheri in Mumbai, which is producing a slew of interesting indie titles, including Neeraj Ghaywana��s Masaan, Anu Menona��s Waiting, starring Naseeruddin Shah and Kalki Koechlin, and an experimental project, X, which has 11 directors contributing to the same story. Rule # 8: Marketing begins with meeting the right people. 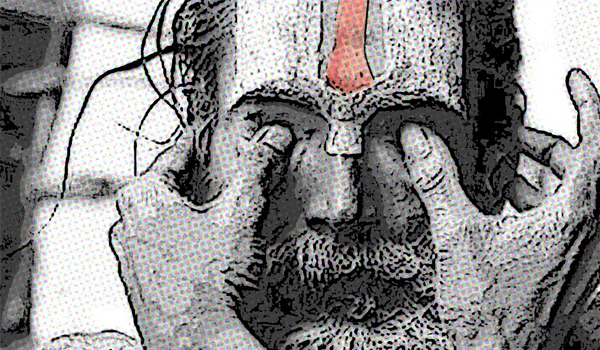 Monga begins much before the movie is ready for the festivals. a�?It is a bit of a struggle to land up in a place and say, a�?hey, I am Guneet and Ia��m from India.a�� People say, a�?ah Bollywood and dance numbers.a�� People dona��t meet you so easily in the first place. Hence, I make my appointments in advance. I meet people and I keep meeting them again and again. Leta��s get introduced first and we can do business later is my motto,a�? she says. Releasing trailers in movie halls means added costs. a�?Also, if the movies have big stars then we can pre-sell the movie and put distribution rights in place. But with low-budget cinema, we dona��t have that comfort,a�? observes Dhingra. Hence they resort to trailers on social media, YouTube and other mediums. 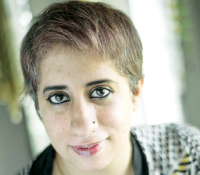 Raised in Delhi, Guneet Monga (32), interned with a production coordinator in 2003 there and moved to Mumbai in 2006 in pursuit of her feature film, Say Salaam India, ahead of the ICC World Cup that year. 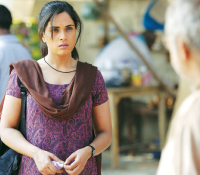 This was followed by Rang Rasiya (2008) and Dasvidaniya (2008) and later in 2009, during the making of Once Upon a Time in Mumbai (2010), produced by Balaji Telefilms, she met director-producer, Anurag Kashyap. She joined Anurag Kashyap Films Pvt Ltd and engineered building a bridge between AKFPL, foreign buyers and distributors. She launched Sikhya Entertainment in 2008-09. Rule # 9: Trailers must be made to order. Since these movies show in western countries, the relevance of the trailers need to be centered around that countrya��s preferences. a�?For example, people in the west dona��t understand the concept of arranged marriages like we do. So we have two different cuts for the Indian and foreign audience respectively. Before we released the Angry Indian Goddesses trailer here, I went around seven different cities and met more than 400 women to find out if they liked what they saw and then made the final cut,a�? Dhingra explains.